This month’s item really is a mystery! 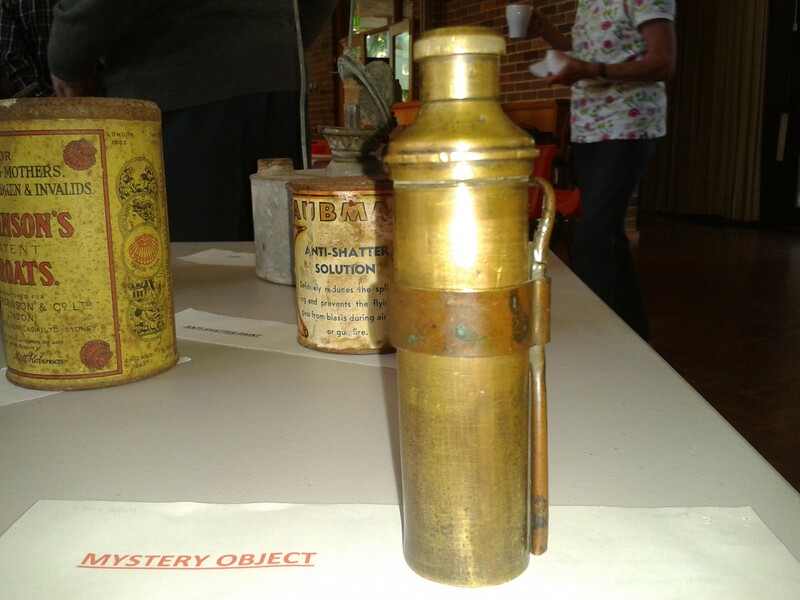 The mystery object for this month is courtesy of Harold Harrison and was on display at the Uniting Cafe Church on Sunday November 18th last year when the Berowra Living History team gave a presentation. It had us guessing then and still does. So we took a photo to share on the blog. Can you tell us anything about this brass and copper container and it’s use?